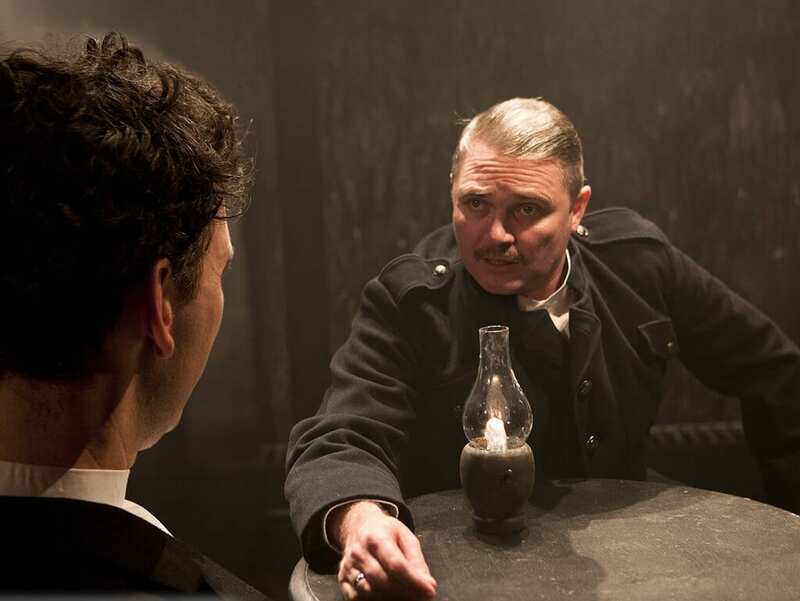 August Strindberg’s plays have been popular around the world in the past couple of years, especially his Miss Julie, which had a surge of adaptations in 2012 by companies everywhere from Edinburgh to South Africa. The Father was written just before his masterpiece, Miss Julie, and it seems to lack the same sophisticated brilliance, even with Laurie Slade’s stylish adaptation. The Captain (Alex Ferns) and his wife Laura (Emily Dobbs) are arguing over their child’s future. The law states that any decision is down to the father, but Laura gets her way by planting seeds of doubt in her husband’s ear, hinting that he may not be Bertha’s (Mille Thew) biological father. His growing paranoia helps her to persuade everyone that he is insane, in hope that she will then have sole custody of the child. Even though the play was written over a hundred years ago, it still manages to discuss a range of relevant issues. The dynamics of gendered parenting, domestic violence and even the masculine taboo of talking about mental health issues are touched upon. ‘If you are not well its no reflection on your manhood,’ Laura croons at her raving husband. The cast helped bring these issues to life. Alex Ferns’ electric performance as the fiercely intelligent yet gradually depleting military man is the glue of the production. From the first to the last scene, his restless energy never ceases. He never loses focus while he spits and sweats his way through the 100 minute running time. The play’s pace drags if he is absent from the stage, seeming stiff and motiveless as a result. The stand out moment of the play was the incredibly moving scene between The Captain and Margaret, his childhood nurse, played by the talented and experienced June Watson. She cajoles the captain into a Straightjacket while they reenact his early childhood. Watson’s talent was showcased with her command of the scene’s tonal shifts and her ability to hold its tension, keeping the audience on their toes. Laura, played by Emily Dobbs, seems a tad miscast. Dobbs has moments of brilliance in her Iago-esque manipulation, but seems a little too young and uncomfortable for the role. Her line ‘women are made of sterner stuff, they have to be’ seems incongruous with her dulcet tones. 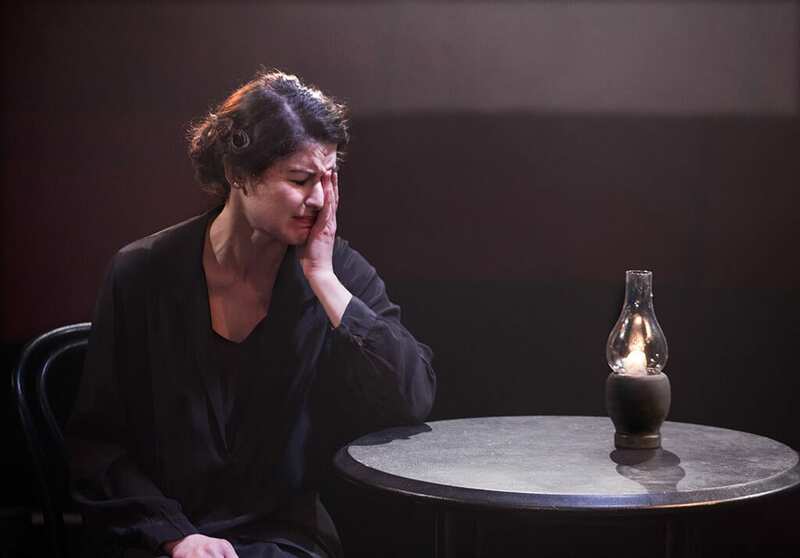 Perhaps this is because Strindberg never gave Laura a scene alone with her daughter, where her maternal drive could be seen first hand by the audience. The blocking was, at times, a bit forced. 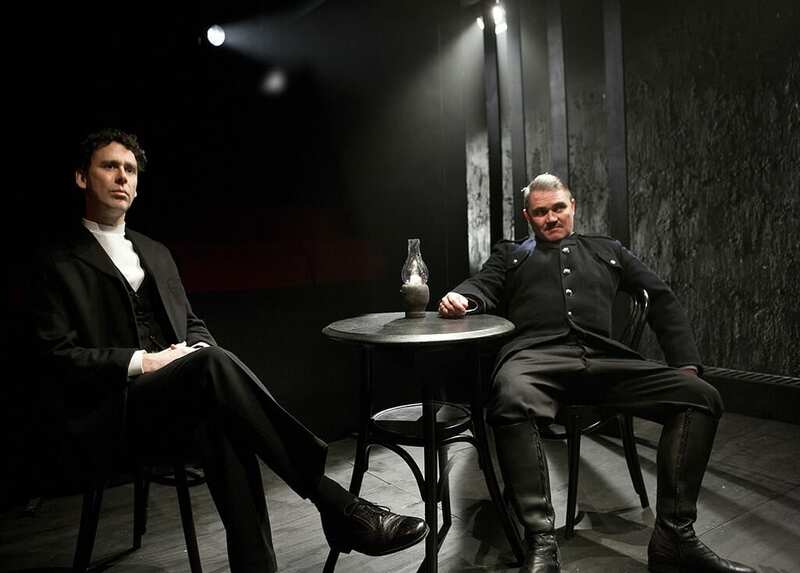 Characters found themselves kneeling center stage without much motive, or squaring off against each other while symmetrically leaning over a table. Despite this, director Abbey Wright should be commended for broaching such difficult subject matter with such sensitivity. The popularity of films like Gone Girl this year are causing the public to connect ‘untrustworthy’ women with parenting. One man tweeted: ‘Only an hour into the movie Gone Girl and I’ll already never trust a woman again’ just as the Captain shouts that ‘its instinctive for a woman to be false’. However, on leaving the production, it’s hard to agree with either of them. Sophia Leuner, born and bred in London, is pursing a career as a writer and director. 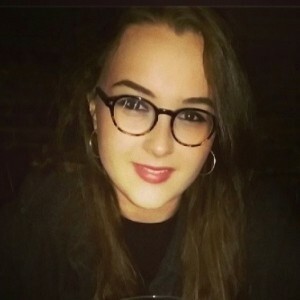 She currently lives in Dublin, where she is exploring Ireland’s rich theatrical history and launching her production company, Hairpin Productions.